Begin your Yangon introduction with an enjoyableand unusual journey on a local train. Visitors tour thecity’s suburban area enjoying glimpses of local life. Meet a variety of vendors on-board the train and atthe stations selling food, drinks and other goods.Prepare to be amazed by the hustle and bustlecentered on this vital means of transportation. The Yangon Circular Railway is a three-hour triparound Yangon and the neighboring countryside, providing a great overview of the sprawling lifeoutside of the capital. Along the way, make a stopat a local market where you can appreciate theingredients and food often featuring inBurmese meals. 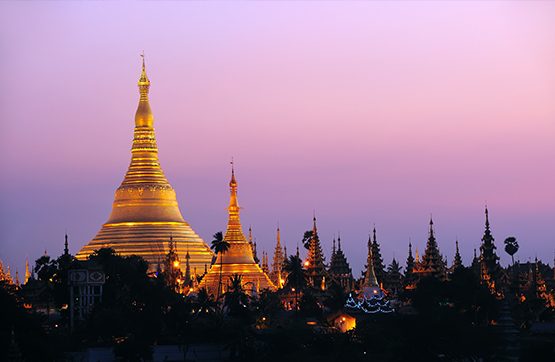 We then visit the historic Shwedagon Pagoda whichtowers almost 98 meters above the green cityscape of Yangon, encrusted with 4531 diamonds. Then following an appetizing lunch we transfer to Yangonjetty for fascinating ride across the Yangon River by local ferry. Arrive in Dala where you’ll enjoy a casualpace as you explore the market and surrounding areas which make up this riverfront community. Thaketa is distinct as it has more family workshopsand independent small businesses than anywhereelse in the Yangon region. Upon arrival guests boardtheir transportation for the day, a local trishaw bicycle- the best way to properly explore the neighborhood’ssmall streets. As Thaketa rarely sees foreign visitors,you will also experience true Burmese generosityand kindness.Our first stop on this neighbourhood tour will beat a small and interesting family owned jadeworkshop which specializes in ornate Buddha imagestatues. 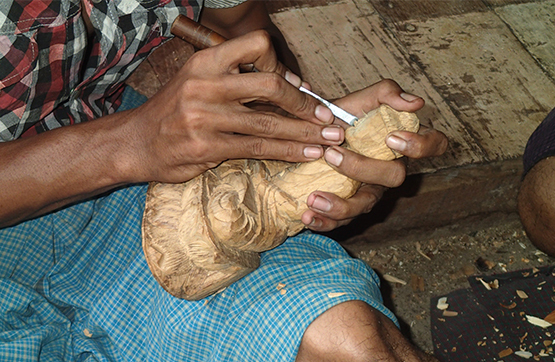 Nextdoor is a woodcarving shop owned bytwo brothers – their entire family assists with therunning of the business by carving statues andreligious figures. We then continue to anotherincredible workshop. Here they produce one-of-akindlocal life images and dioramas using rice straw,glue and backboard. Another corner of this uniquevillage specializes in handmade pottery, we canwitness the interesting process of how local clayis transformed into beautiful earthenware.